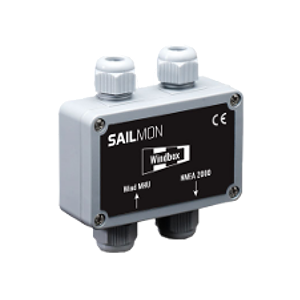 Connect B&G wind sensors directly to the SAILMON system. Measures both wind speed and angle at an exceptionally high rate of 10Hz. Housed in a very small IP65 rated case. A 5m NMEA2000 drop cable is pre-installed.